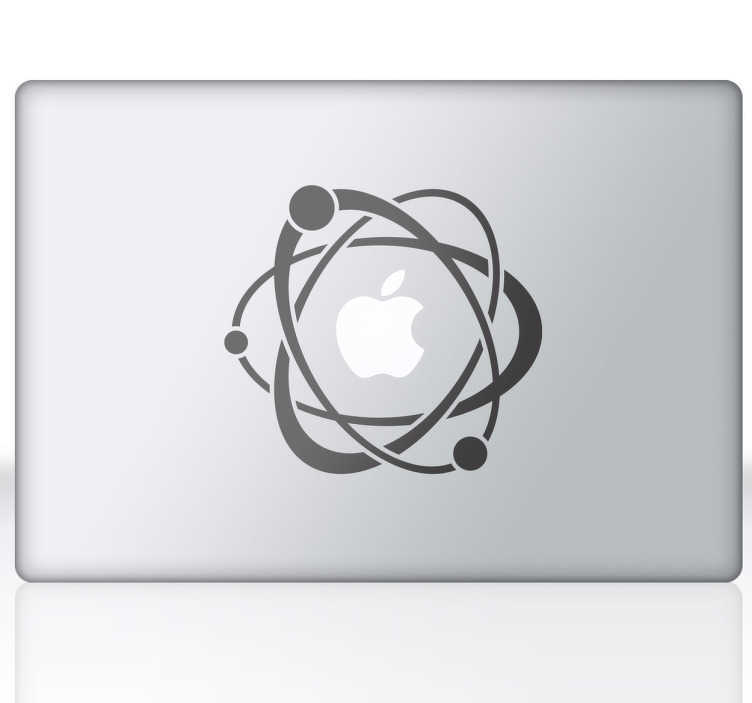 A science inspired design to give your laptop or Macbook a touch of originality. A fantastic design form our collection of MacBook stickers. You can customise your tablet, laptop, iPad, MacBook or any other electrical device with a smooth surface. Group of electrons circling the atom that is the Apple logo. Do you love science? If yes, this is the ideal decal to personalise your device and make it stand out from the rest.